Nothing is more difficult for pets and owners than separating from each other. Vacations and trips are easily ruined by worry about the safety and comfort of pets. Eastview Veterinary Clinic is proud to partner with Clarksville Kennels, located directly behind our office, offering grooming, bathing, and boarding services. 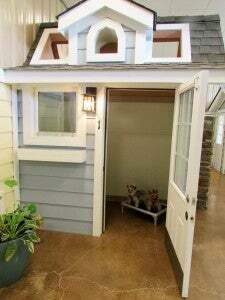 Veterinarian owned, Clarksville Kennels was designed to provide a home-away-from-home for pets. 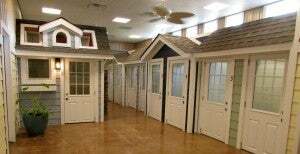 Each pooch gets a roomy 3×10 individual run. We now have luxury Suites available. Our suites include an elevated pet bed, two 15 minute play times with our loving staff members and a special treat at bedtime. We generally place smaller pups in our quieter 3×3 kennels, if that is where they feel most comfortable. Pictures of your pets can be requested and sent to your cell phone once daily at no additional charge. Cats are boarded in a quiet room where they can enjoy lounging on a scratching post while over-looking our daycare facility through a large window. With a full-service veterinary clinic located on-site, you can rest assured your pet will be well taken care of at Clarksville Kennels. We provide Purina Veterinary Diet EN for our boarding dogs. We ask that you provide your pet’s food, if possible, to help minimize the chance of stomach upset due to a sudden diet change. We offer half day and full day daycare for small and large dogs. 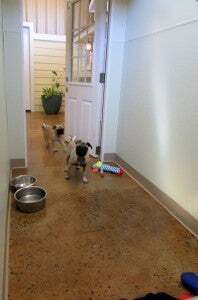 They will interact with other dogs and are supervised by our caring staff. Water and noontime snack are provided. 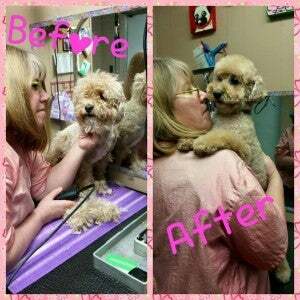 We offer grooming and bathing services for boarding or non-boarded pets by appointment. We have many different spa packages and upgrades available if you really want to spoil your pet. Our doctors at Eastview Veterinary Clinic also recommend annual testing for heartworms and intestinal parasites. Vaccinations must be given by a veterinarian. Should your pet need vaccines, our on-site doctors from Eastview Veterinary Clinic have the ability to visit your pet during their stay to give them any required vaccinations and along with annual exam and check over. Retail items available at Clarksville Kennels include Blue Buffalo foods, Purina Pro Plan foods; Lupine collars, harnesses and leads; Tropiclean shampoos and breath products; Nylabone chew toys; brushes and combs and of course treats! Lupine collars and leashes are guaranteed, even if chewed! We can also special order your favorite style and pattern. 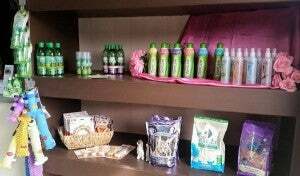 Stop by today to take a look at their products or place your order! Visit LupinePet.com to view their patterns and styles. We can special order Blue Buffalo or Purina Pro Plan foods upon request. Pre-payment is required. "We had our first visit today, due to an emergency situation, and I could not be happier with the service we received. The staff was extremely nice and accommodating to my injured pup, treating her like their own. Would definitely recommend this facility and their great staff!"